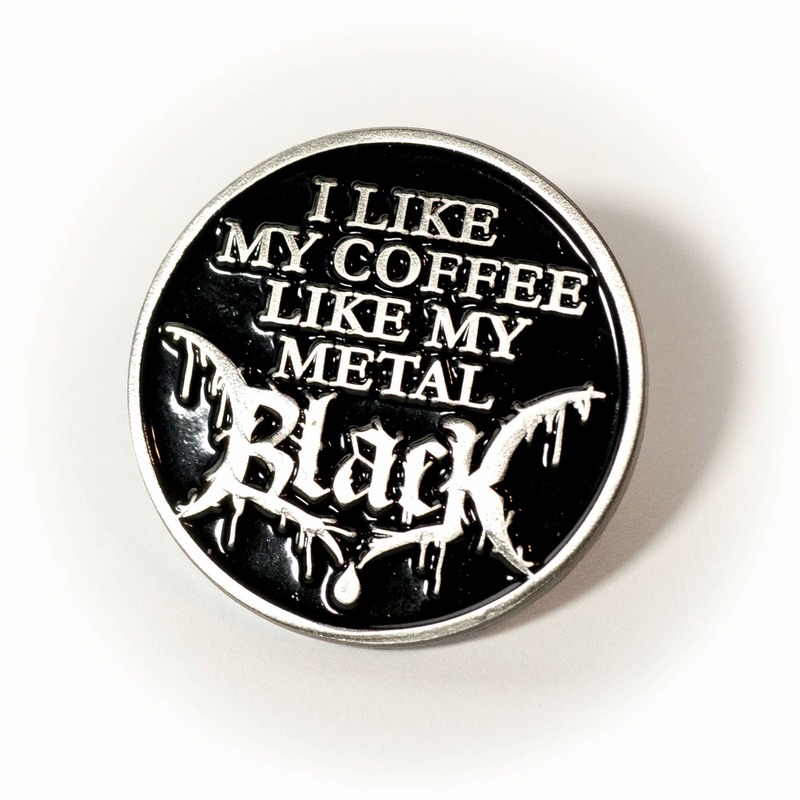 Lovers of Black Metal and Black Coffee rejoice... this is the pin to help you celebrate your love of both. 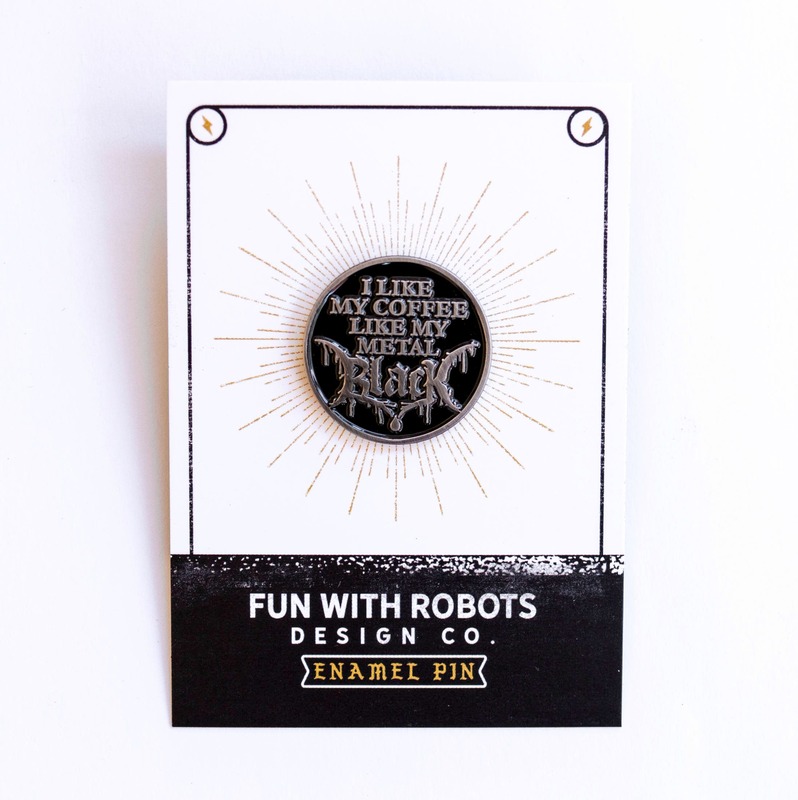 This enamel pin will look great on your sleeveless denim jacket placed next to your favorite Dark Throne or Emperor patch. 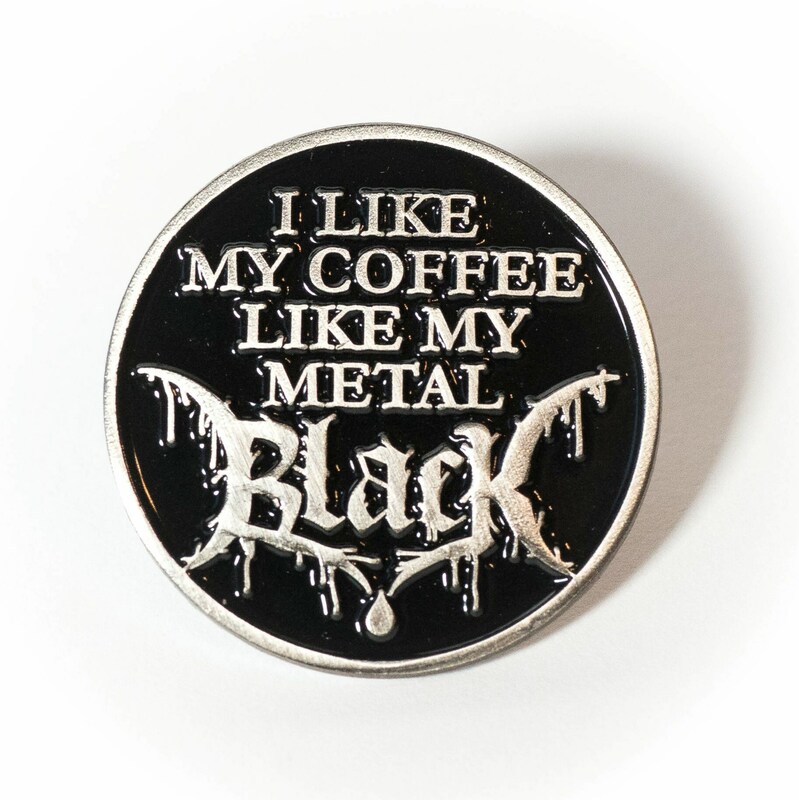 Nice pin. Thank you so much! 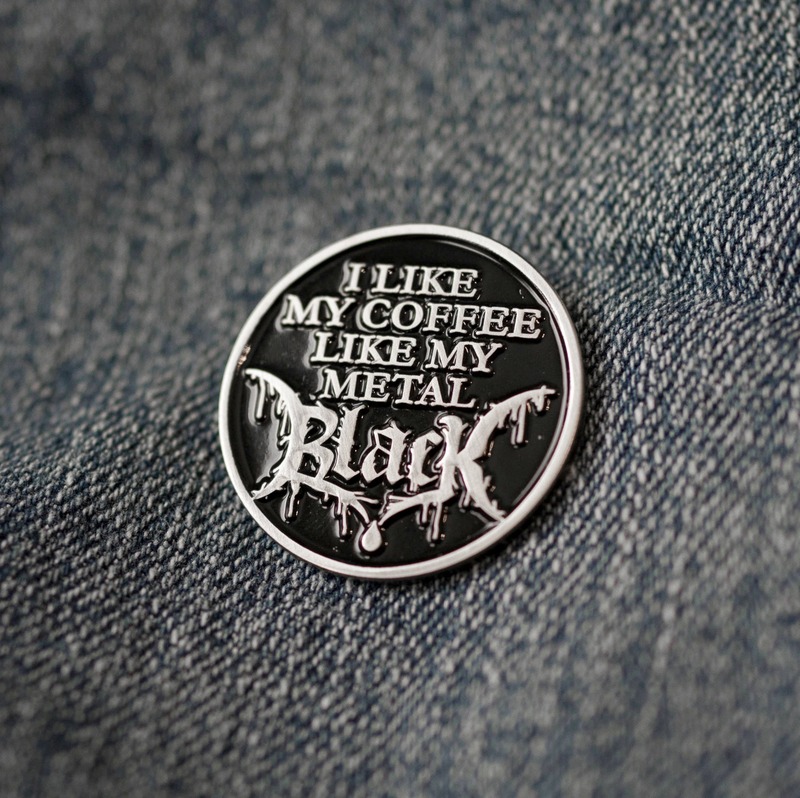 Nice job thanks, its just very cool !